David, Twenty year old young and hot boy who just got into prestigious dance school of his dreams. He has a secret from two year that he has sleep with Jules, his sister’s husband. David throws himself into a one-night stand with Sam, after an argument between the two and this casual encounter becomes something much stronger. Jules is slowly going mad by his secrete desire for David and starts feeling jealous of his newfound. When David’s sister insist him then he bring his boyfriend home for dinner. Jules, reveals the secrete which none of them can ignore. 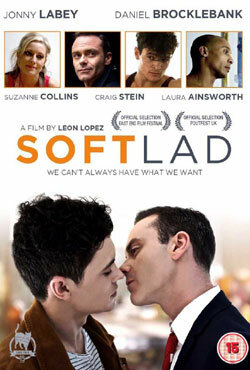 Awards & Nominations Won by "Soft Lad Movie"
A changing life story of a young man who involve in a love affair. Box Office Earning of "Soft Lad"